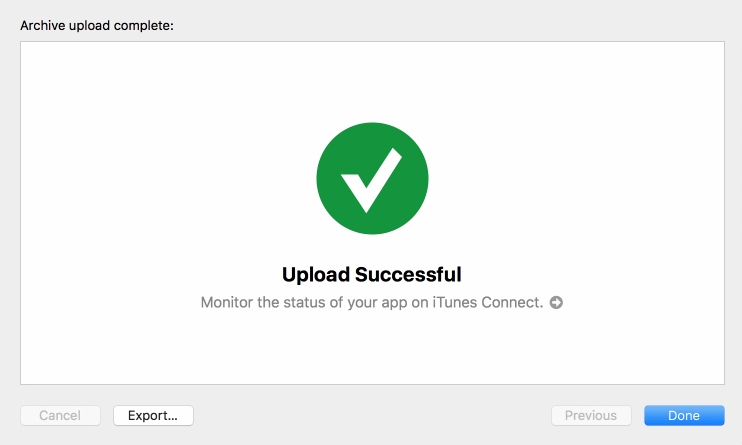 Since the last update of XCode the process for uploading or exporting an iOS app or game to iTunes has changed. 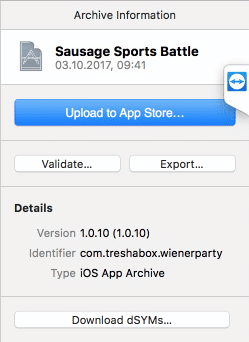 Select the version you want to upload to the iTunes store. 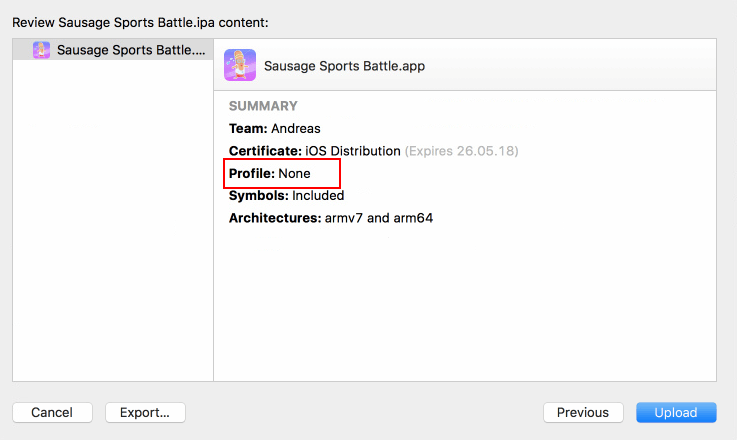 Make sure that you had registered the bundle ID before you start uploading the game / app to the store. 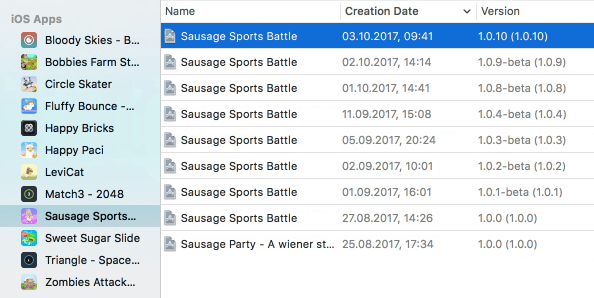 Now select your developer team. 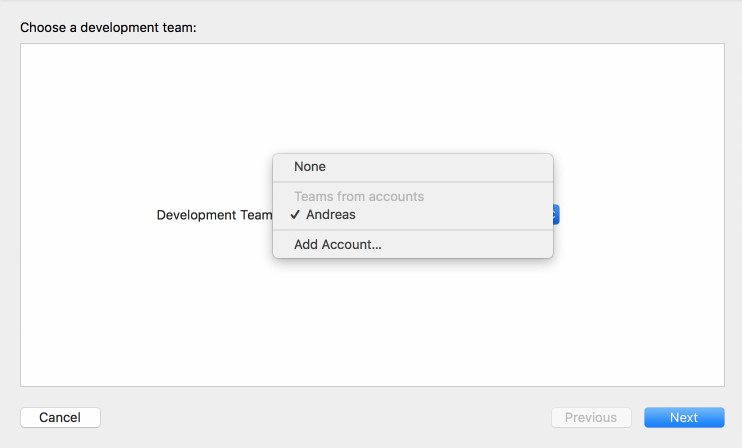 If you haven’t added any, do it with “Add Account…”. This option is up to you, tick it or not. 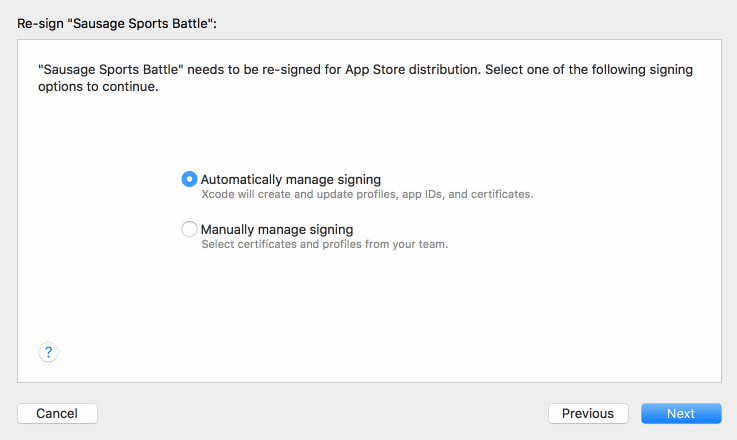 Wether choose here if apple should sign your application automatically of if you want to do it manually. 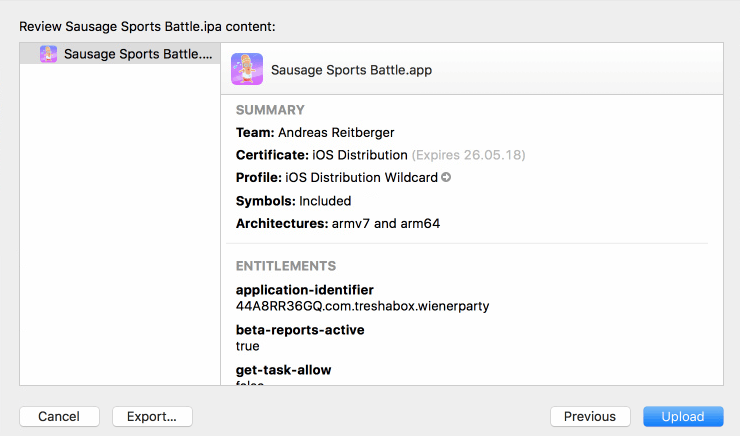 If you are choosing the automacially managed signing, make sure that you have a valid distribution certificate and a valid provisioning profile with the apps bundle ID! Otherwise you will get an error at the end of the upload. No wildcards can be used here as profile! If XCode cannot find the provisioning choose rather the manually signed method or check your profiles at your Developer Portal. If you ignore it you will get following error. If you get an error at the automatically managed signed method, switch to the manually one. Here you can add also a wildcard as profile. 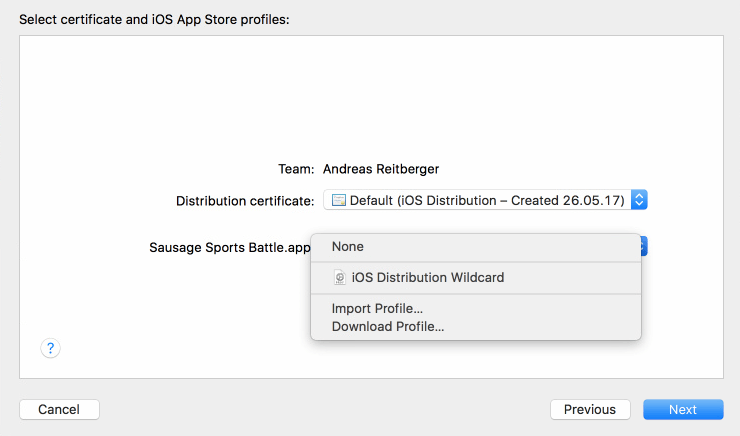 Just click import Profile and import either your profile with the bundle ID or a wildcard. You can manage and download those from your Developer Portal. 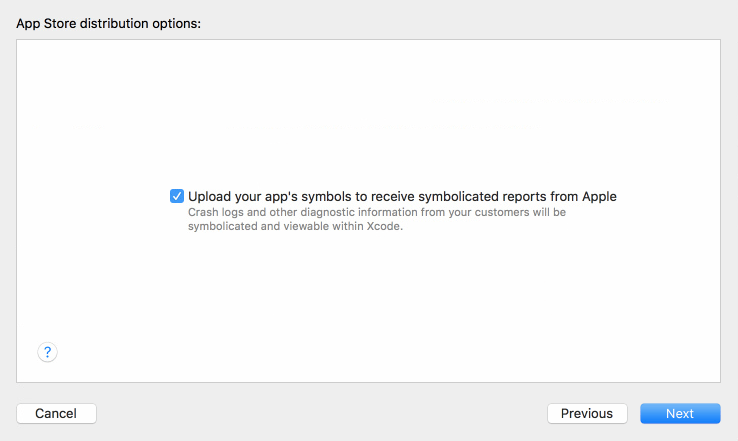 Once you’ve clicked Upload, XCode will send your binary to apple. If all went well, you will see this success message.